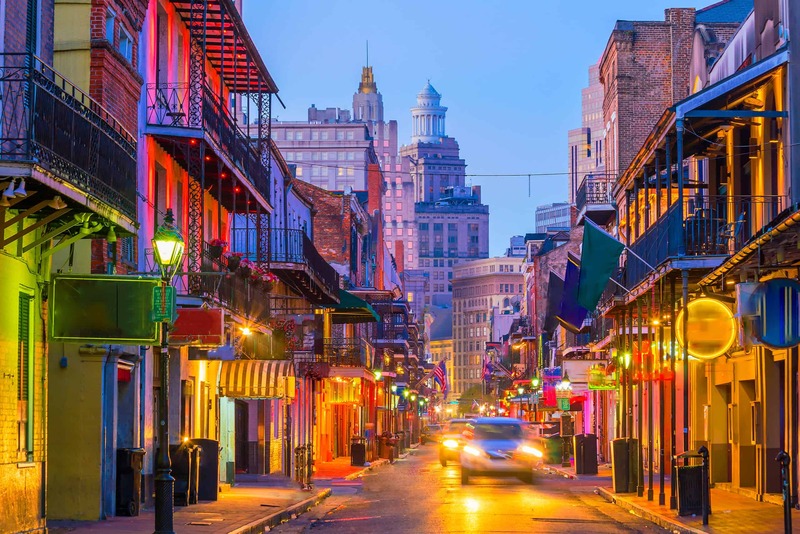 Start in New Orleans and immerse yourself in the jazz lifestyle which encompasses the city. Next stop is Cancun for a spot of sunbathing and Mayan city exploration. We have plenty of hand-picked resorts for you to choose from. Stay in an all-inclusive hotel leaving your worries behind you. The final stop is a road trip around Cuba. You will be visiting three of its very unique cities, each of which offers a totally different experience. This three-week trip is perfect for a honeymoon, or simply someone who wants a little bit of everything! Arrive in New Orleans, you will be met by your driver who will take you to your hotel where you will check into your room. Spend your days wandering around this vibrant city. Explore the shops, restaurants and entertainment venues in the area. Head to the French quarter and explore the live Jazz which can be found on the streets, unique architecture and the famous haunted house! Spend your days relaxing in your hotel, head down to the beach and swim in the beautiful turquoise sea or for those who are seeking a little culture, there are several Mayan ruins dotted around Riviera Maya. 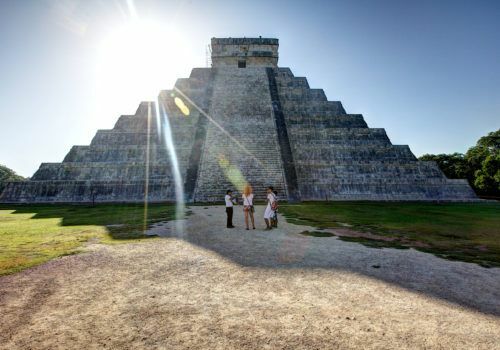 The most famous is Chichen Itza, which was the largest Mayan city. 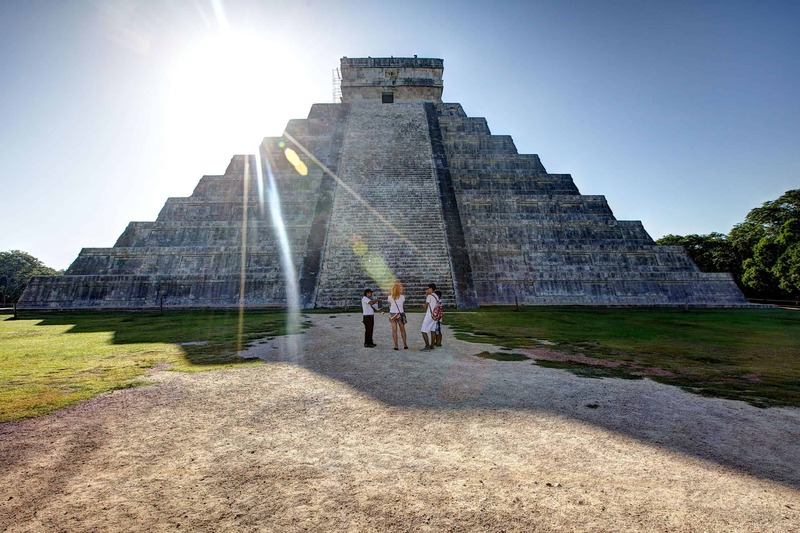 It has been preserved beautifully, allowing you to get a feel of what life was like for the Mayan people. After you have explored the area, take a dip in the cenote which is right next to the ruins. Spend a day out at sea, where you can snorkel with the tropical wildlife which lives on the sea bed, including turtles and all kinds of tropical fish. Enjoy a walking tour of Old Havana, led by a local guide, who will inform you about Havana’s history, and will take you to the main points of interest in the city. You will collect your hire car, and start your road trip. Your first stop is Vinales, which is a town in Cuba. You will be spending two nights here, where you can explore the local area. You will then be heading to Las Terrazas, where you will be staying in the area is famous for being the largest bioreserve in Cuba. there are lots of fun activities you can do during your stay including some fascinating bird watching with the local guides who are experts. Take a tour of the coffee plantation, which has been partially restored to its former glory. For the thrill seekers out there, head up into the trees and go zip lining around the lake. You will be spending one night here. This is a UNESCO preserved museum which is definitely worth a visit. You will be spending two nights here. Close to Trinidad are some beautiful beaches to visit. You will be taken on a guided tour through the centre of the city in the first morning and in the afternoon take a tour to the historic and almost ghostly sugar mill valley a relic to Cuba’s slave trade. Set in the centre of Cuba, this city is very different with its new trends and edgy youth culture. Explore this vibrant city from top to bottom. You will be spending one night in this city. Return to Havana where you’ll drop your car off and head to the airport for your onward journey.